I realize many fans have already suggested that Tim Thomas will be/should be the Conn Smythe Trophy winner, regardless of how the Vancouver-Boston series ends up. The guy is certainly worthy, but what if he gets hammered in Game 7 in Vancouver? Are they really going to hand out the hardware to a guy who gave up six goals, for example, in the Cup-deciding game? In any event, I have no clue what will happen from here. I tweeted late yesterday afternoon that I sensed it was Luongo’s time, and Vancouver’s time, for that matter. It obviously still may well be, but it wasn’t the case Monday night, at least. Vancouver still has to be considered the team to beat, since Boston has not been able to score in Vancouver—at all. And the Bruins haven’t looked like the same team out west. They’ve been OK, but not as confident or assertive on the road. If they rely on Thomas one more time in Vancouver, as they have so far in the series, they may well be in trouble. Despite Montreal’s comeback, Crozier was voted the Smythe winner, which upset many of the Hab players. A number of them could have been worthy recipients. 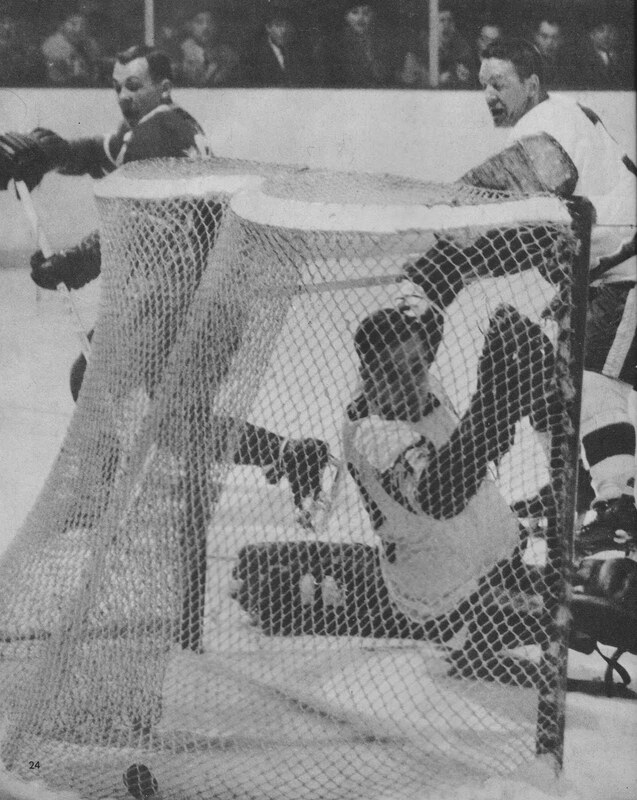 (Jean Beliveau had won the Smythe Trophy the very first year it was awarded, in April of 1965, as he led the Habs past Toronto and Chicago to earn Montreal’s first Cup since 1960.) Defenseman J.C. Tremblay was particularly outstanding for Montreal in the ’66 playoffs, and would have been a worthy Conn Smythe winner, as I recall. I think Glenn Hall also won it one year in either 1968 or ’69, also largely for his brilliant play against Montreal in the finals, even though the Habs won the series in four straight games. Some of you may remember other goalies from non-winning teams who have won the Smythe, but as I write this at the conclusion of Game 6 in the Boston-Vancouver series, no names are jumping out at me. I’d enjoy hearing from people who have watched the playoffs—and this particular series—closely, with their “nominees” for the Smythe—other than Luongo or Thomas. There have been some fascinating story lines, from the contributions of 43 year-old Mark Recchi to the play of Kevin Bieksa and the injured but willing Ryan Kessler throughout a long, grueling playoff run for the Canucks. I know we have to wait to see how Game 7 unfolds, but in the meantime, who are your contenders? Sedin’s goal in the third period might have seemed somewhat “meaningless” at the time, but it may provide exactly what he and Daniel need heading into Game 7. And the fact that it was a power play marker is potentially good news for the Canuck PP. In the same breath, it’s not a disaster, necessarily, for Thomas, that he gave up a goal in the third. It’s a lot to expect guys to pitch shutouts every night. Sometimes it puts pressure on you in the next game when you are coming off a shutout. If Seidenberg is out for Game 7, that’s a huge loss for Boston, just as Hamhuis’ absence has been significant for the Canucks. Chara didn’t have to play huge minutes in Game 6. We’ll see if that has any effect in Game 7. Google is your friend especially when writing any you want to publish. I would have to agree with Mr. Langlois here, in that the jury will be out until we see how game seven unfolds. If I had the chance to cast a vote, it would go to Tim Thomas, win or lose. When you look at what makes a player the most valuable, it is not totally limited to the scoreboard. There are other factors which make up the heart and soul of the team. Tim's grace under pressure has been huge for Boston. The confidence they have in him makes for explosive moves such as we saw early in the first period last night. When a team gets all the way to game seven, they are on the razor's edge of victory. Therefore, I would not limit the choice by making it exclusive, if an obvious candidate were a contender.